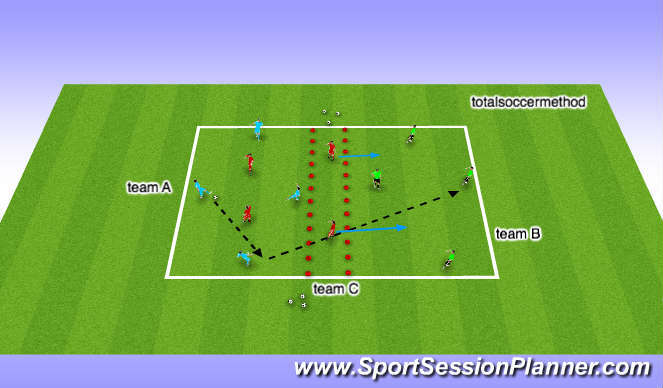 Team A plays 4 v 2 in one side of the grid. When possible, they play ball to team B on other side of the grid to change point of attack. (when depth is possible) 2 players of team C defend. The other 2 stay in neutral zone (and may intercept pass) When ball is played to team C, the 2 defenders in the neutral zone defend. 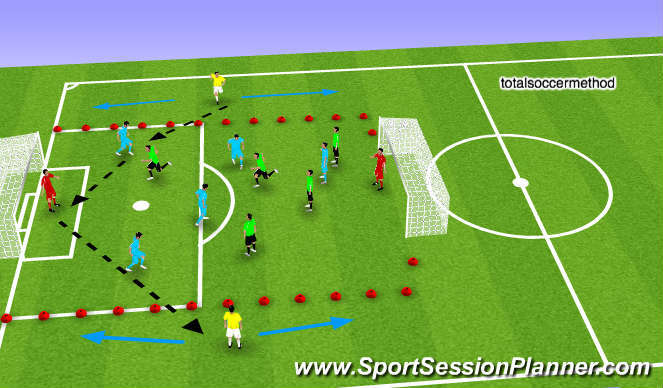 Both teams can play to neutral players in a zone on both sides of the field.